Art and Antiques Magazine April 1986. Madame Cezanne in a Red Chair on cover. Articles inside include Clausholm Castle, Imperial China, Cezanne, Sentinels of the Garden, and more. Filled with great illustrations and advertising. Magazine is complete and in very good condition. Wear at edges. 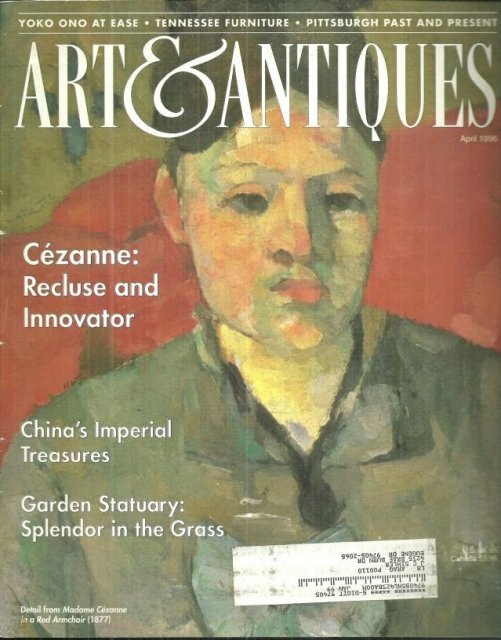 Items Similar To "Art and Antiques Magazine April 1986 Cezanne"